This side dish is mostly carbohydrates and a little fat. Pair it with a meal composed mostly of protein to make it balanced and stabilize your blood sugar. Dice potatoes and red pepper (if using) into 1-inch cubes. Toss with olive oil, salt, and dried herbs. 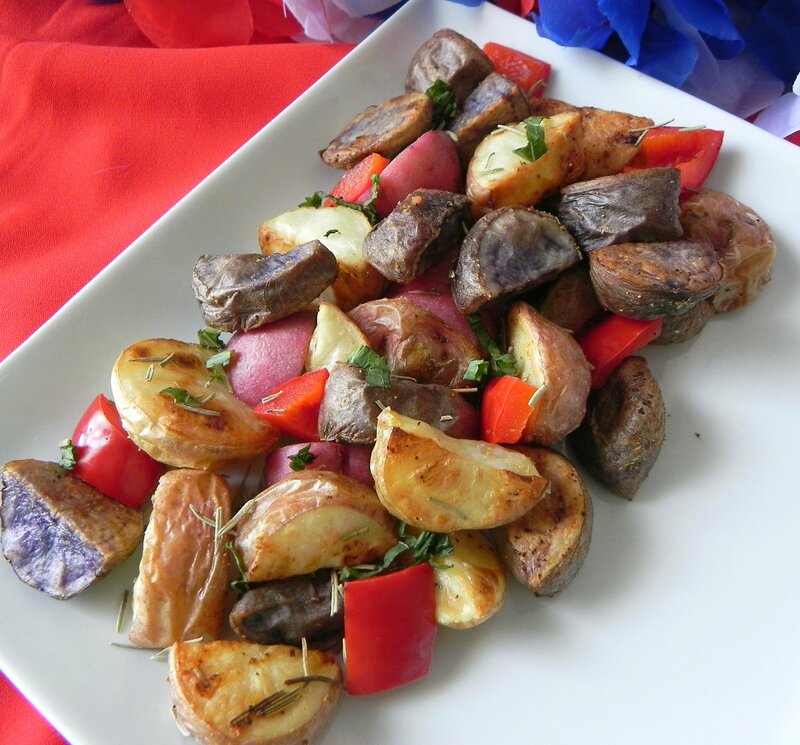 Place potatoes on baking sheet and roast for 20 minutes. After 20 minutes, remove from oven and add minced garlic. Stir potatoes and garlic on baking sheet and place back into the oven for an additional 10 minutes. Remove from oven and top with additional dried herbs if desired. Serve warm.